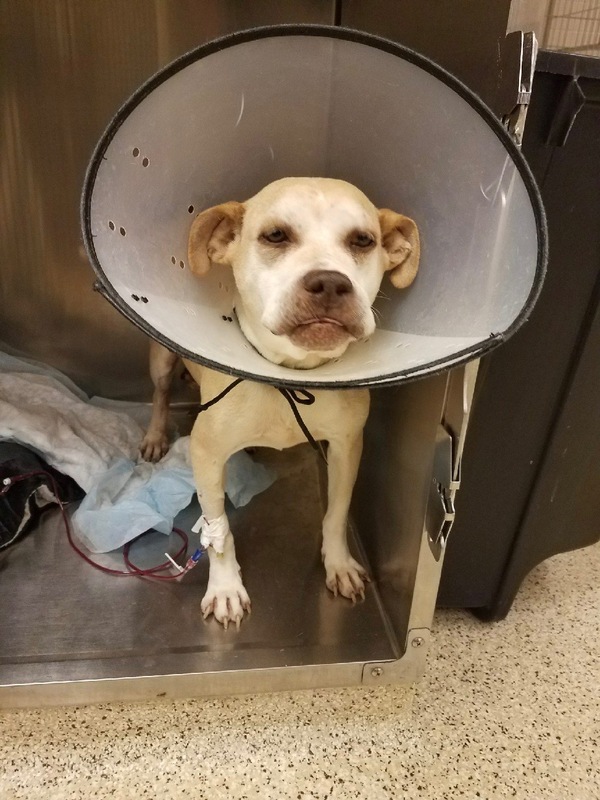 Your donation will help MERCEDES (Pitbull) recover. Hurricane Irma has kept us from posting for these amazing pups. I am hoping to catch up over the next couple of days. Please, be patient with us while we do this and DONATE wherever you can. 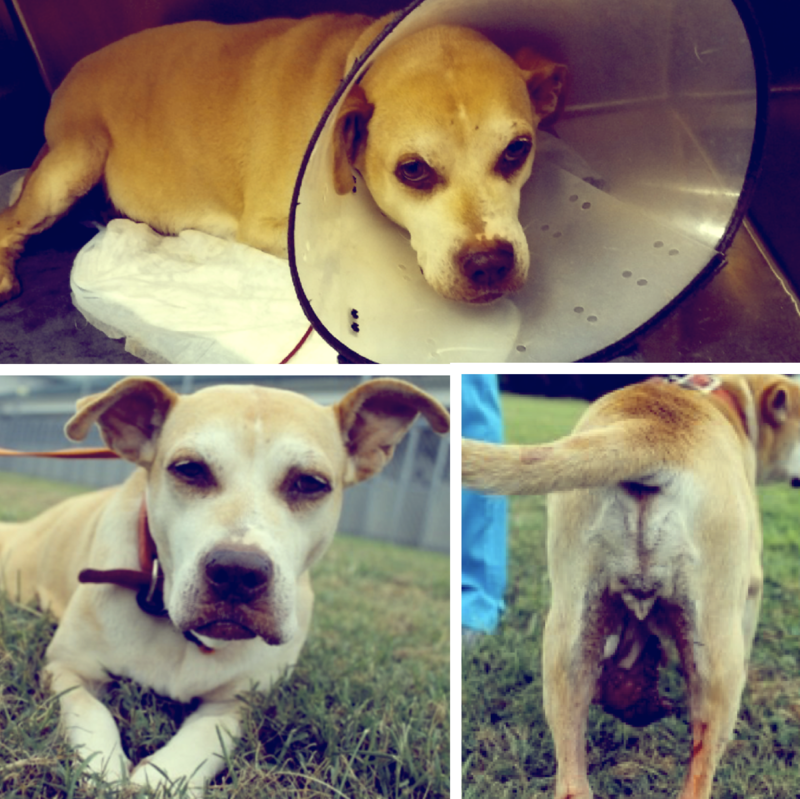 Mercedes medical condition got much worse before we were able to do her surgery. 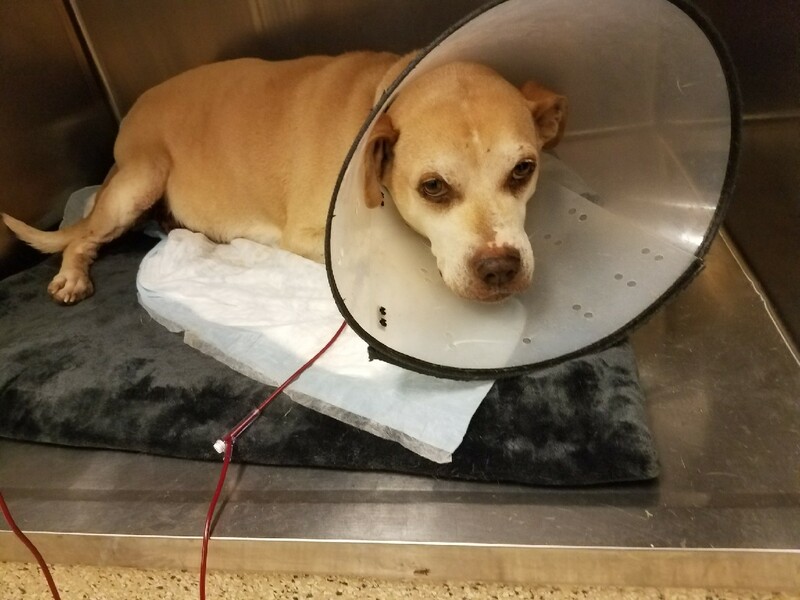 We were hoping getting rid of all the parasites she had would have improved her blood values, but it appears her tumor was bleeding and infected and that was the main source of the blood loss. 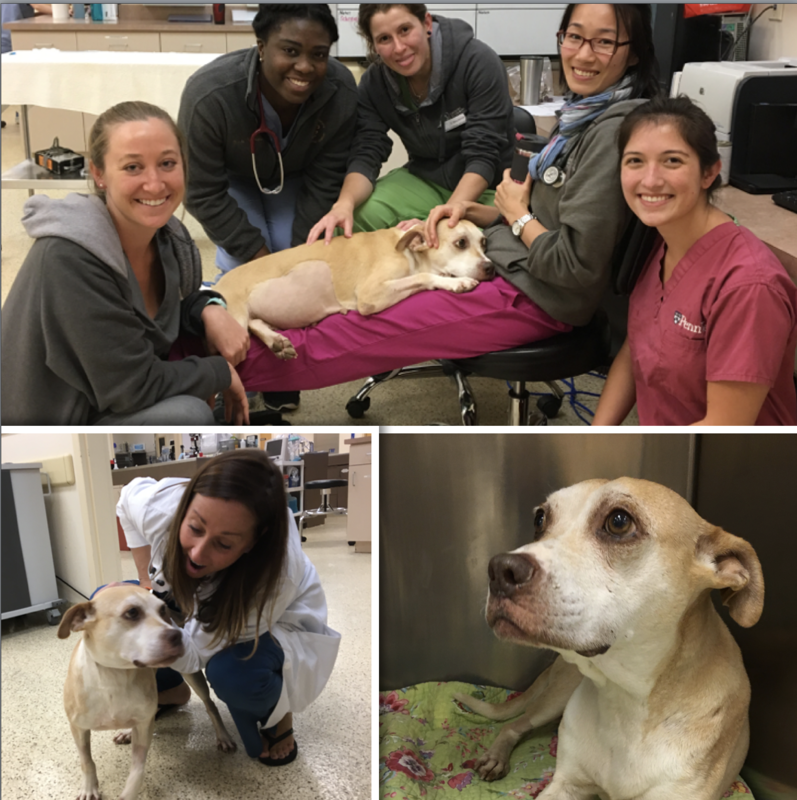 The only way this sweet pup was ever going to have her surgery was for us to give her another blood transfusion. Internal Medical was overseeing her care in ICU and came up with a plan they thought was the best way to get her strong enough for the Life-Saving procedure. Mercedes got her transfusion, and Dr. Nanfelt did her surgical procedure. 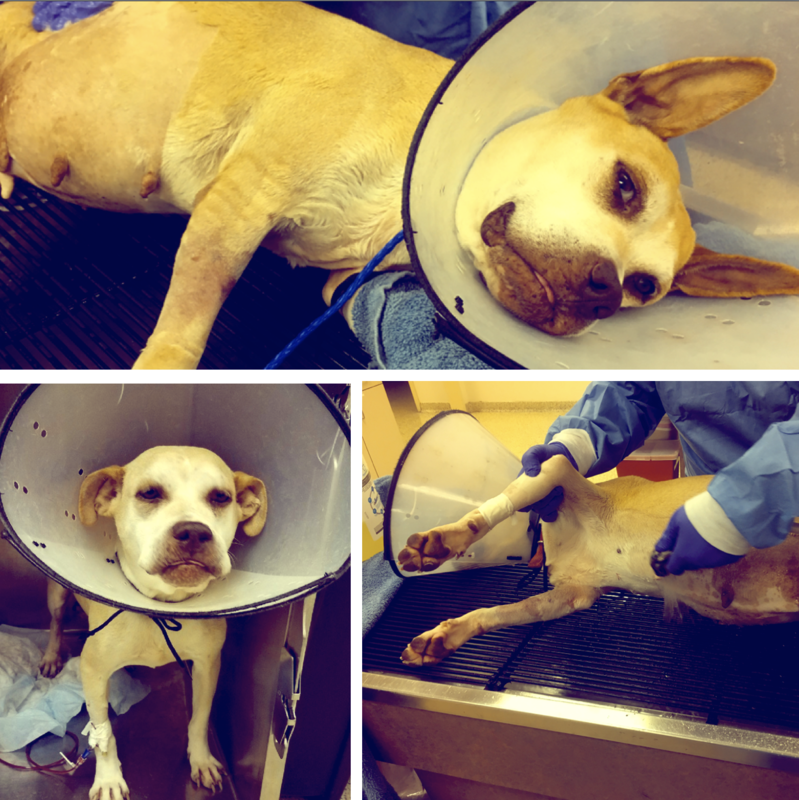 The surgery was long and very unpleasant since her abdomen was full of infected fluid. 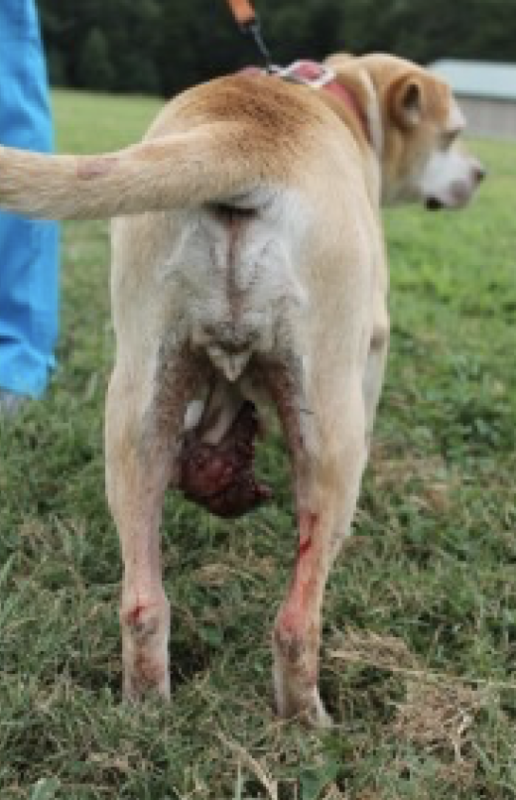 Dr. Nanfelt removed the mammary chain above and below the tumor since they appeared to be infected and inflamed. Everyone that was involved with the procedure was over-joyed when it was over. 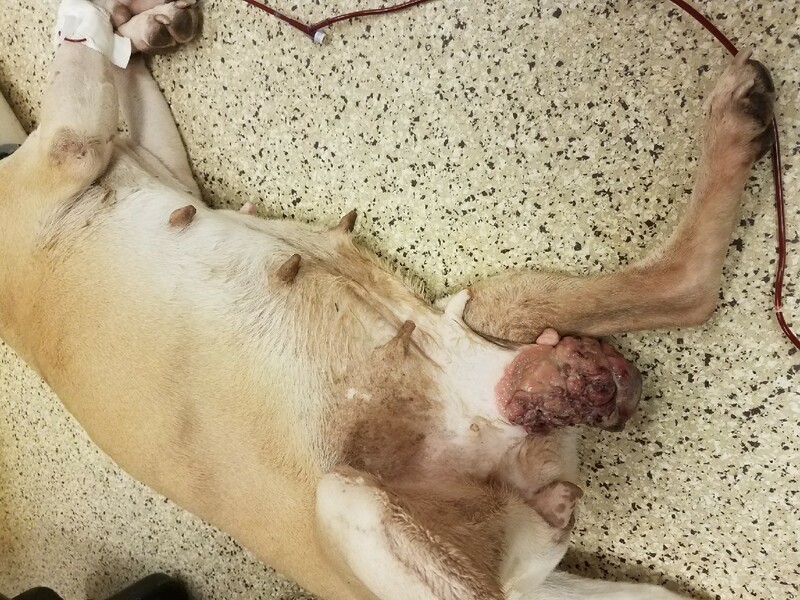 How anyone with a heart could ever allow a dog as sweet and loving as Mercedes is to get in this horrible shape is beyond me. All people have to do is take their beloved pet to the vet right after they notice a bump or growth that is abnormal. It does not cost that much to remove something that is very small. 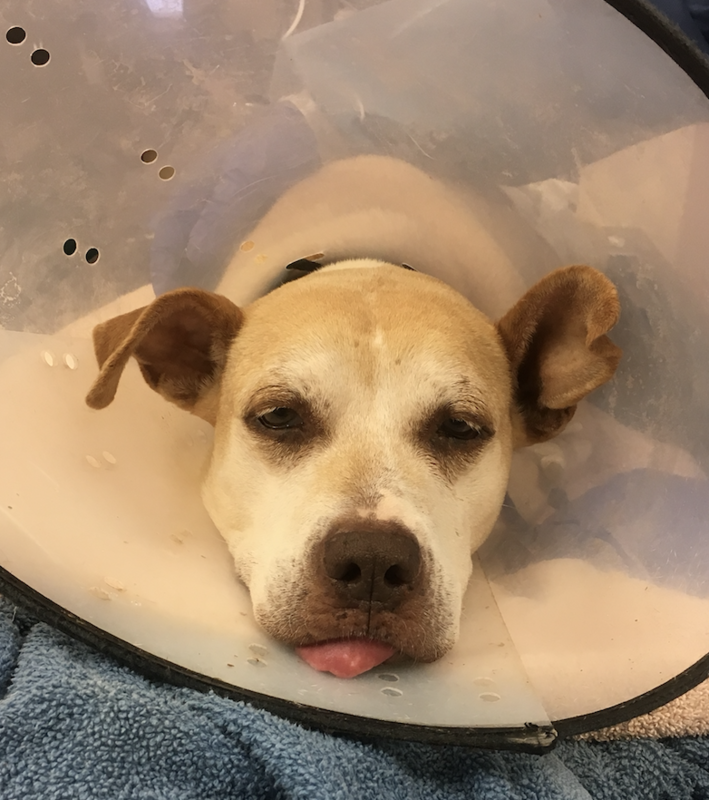 Sweet Mercedes is recovering from her surgery. 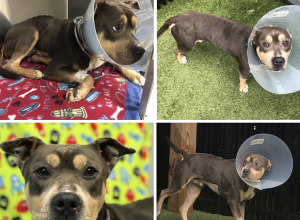 Her blood values dropped right after surgery and have improved on their own since the mass was removed. We have sent off the mass and the surrounding tissue to make sure we have good margins for her biopsy report. We will get her results back in a week. Mercedes is by far one of the sweetest pitbulls. She is a delight to be around and loves curling up in your lap. No matter how bad she feels, she loves everyone that is in charge of her medical care. She wags her tail at every animal she sees and has a kiss for anyone that comes up to her door. 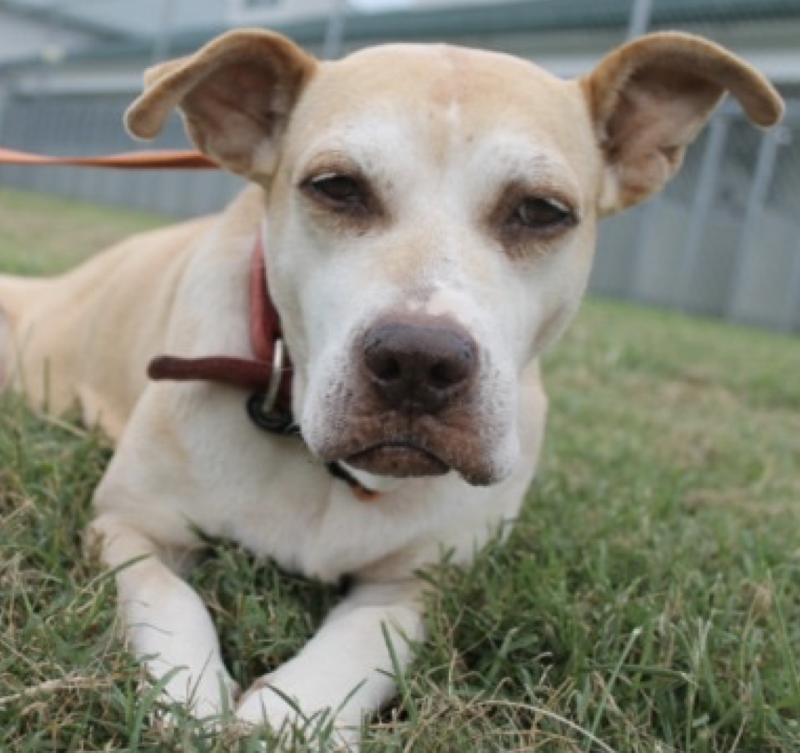 We don't know how long she will have, but we are hopeful, she will have many wonderful years to be loved unconditionally. We are overwhelmed with bills on all of our animals. Please, Donate whatever you can when we send around the posts for the animals in our care. Thanks for being our Guiding Light during our darkest Storm.